We are endlessly amazed at the continual mistakes our nation is making at almost every crossroads. From deadlock in Congress to Obamacare, America can’t seem to do anything right – and it’s all good news for affordable housing. Perhaps too good. We have been getting, at some properties, over 100 calls per week from people desperately looking for housing that they can afford. While we love that level of demand, we don’t need that much. When you have one home to sell or rent, you only need one party to step forward – not thirty. 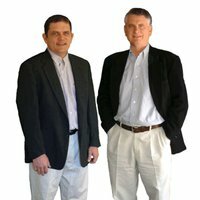 We have never seen a business with as much demand as we have right now. We remember back in the 1990’s, when the phone would ring at a healthy rate from a simple classified ad. That was great. But the new demand levels are over the top. At some parks, we can rent or sell anything we want with just a simple banner on the fence, or word of mouth. So where are all these millions of people going that can’t find a mobile home available? Probably into Class B and Class C apartments, or back with their parents – but they’re still out there, waiting for an opening. While we like having huge demand, it would be O.K. with us if the U.S. could do something right sometime economically and give these people a break. At the rate they’re going, the entire nation may be seeking affordable housing shortly. Interest rates have skyrocketed 1.5 points over the last 60 days. The future of interest rates is a hot topic among mobile home park owners and potential owners, and here are some of the key concepts to consider. There is a formula to calculate how high rates will go. Interest rates don’t go up magically – there is a rationale behind where they are. Basically, 10-year Treasuries, which are a benchmark of many other interest rates, are normally at 2 points over the inflation rate. So that means that they should be at 4% right now. But instead they’re at 2.8%, due to the Federal Government’s “quantitative easing” program. So the real interest rates should be – and will be when quantitative easing ends – about 1.2 points higher on mobile home park loans. That’s not the end of the world (although it may be for single-family mortgages, which we’ll discuss in a minute). Thereafter, the real barometer to watch will be inflation. Inflation is what will push rates higher. The good news is that inflation looks to stay pretty tame, as we are already at cyclical highs for oil and other commodities. The impact of higher rates, on affordable housing, will be positive. The big victim of higher interest rates in the U.S. will be stick-built homes – that’s the whole purpose of “quantitative easing”, to keep mortgage rates low to save the U.S. housing market. Already, with a 1.5 point climb in mortgage rates, the sale of homes has tanked. If you read economic predictions on what happens as the rates go higher, it spells carnage for stick-built housing. The net benefit to the destruction of stick-built homes is, of course, a very positive thing for mobile home parks, as it destroys any competition from that sector. One source of competition for the average mobile home parks is the ability for a tenant to buy a stick-built home. This has always been a weak spot in the mobile home park business model, as once you slap on a low interest rate loan, the stick-built home payment is often lower than the mobile home park payment – and the stick-built product is a lot better. Taking away the ability to afford a stick-built mortgage will just push even more people down to the affordable housing level. If you can, refinance now. Interest rates run in cycles. You want to finance at the low point in the cycle, and then re-finance when it comes around again. Since we know that rates have never been lower in decades, obviously, this is the time to refinance. If you have a couple years left on your existing note, you might pre-pay the note and refinance now, not wait until closer to maturity. We just got done refinancing a ton of bank and seller carry debt to conduit debt, so that we could lock on to 10-year fixed interest rates. We suggest you do the same. The last thing you want to be doing is having to refinance when rates are at their cyclical highs. Don’t forget that during the Reagan administration, those highs broke 10%. Interest rates have never remained stable since their creation centuries ago. They are inherently unstable. The Federal Government has been trying to artificially suppress the real rates to prop up the failed stick-built housing industry. With that program apparently coming to an end, expect rates to go up. But understand that rates do have limits of how much they go up, much of which has to do with inflation, which remains stable without government intervention right now. And take proactive steps to protect your current note rates by refinancing why rates are still low. The good news is that mobile home parks are probably the best positioned investment for rising rates, and actually feed off the negative energy of the further collapse in stick-built mortgages. I saw this article in a magazine on an airplane recently. 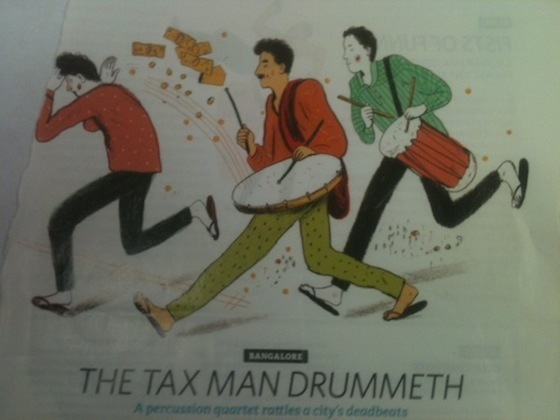 It’s about a collections policy in Bangalore, India, in which they pay people to stand in front of your house and play the drums all day and night until you pay your taxes. Here’s the explanation from the City Clerk “this is much cheaper and faster than prolonged litigation in court”. The men who play the drums are called “tamate boys” because the drums used are called tamates. So how exactly does this relate to a mobile home park? Well, we have found that our parks that are performing best on collections are those in which the park manager acts as one of those “tamate boys” and bugs the residents who are behind on their rent at every turn. Sure, we file eviction every month on those who do not pay their rent, a program we call “no pay/no stay”. But we find that many people who are on the fence about paying the rent on time, will do so if the manager bugs them a couple times. And just like the “tamate boys”, the manager is not allowed to get confrontational – just to nag and become a nuisance to those who don’t pay their rent. The manager may see these tenants at their mailbox, or maybe at the playground, or maybe just walking around. And they will say in a pleasant tone “have you had a chance to pay the rent yet? When will you do so?” We learned this from our manager Frank down in Muskogee, Oklahoma, who maintains one of the highest collections rates of any park, although he has a pretty hardscrabble tenant base. How does he do it? He thinks like a tamate boy and keeps bugging the tenants who don’t pay. I’m not sure if they have any mobile home parks in Bangalore, India, but they probably have real good collections. You might want to buy your manager a drum. If you are interested in buying a mobile home park – or just making your existing park more profitable – don’t miss out on the Mobile Home Park Investor’s Boot Camp coming up in Columbus, Ohio this month. It’s the event in which we show you the correct way to identify, evaluate, negotiate, perform due diligence on, re-negotiate, finance, turn-around, and operate mobile home parks. And we do it in both the classroom and the field – inside real mobile home parks. If you want to hear the real-life story of three people who attended the boot camp and bought a mobile home park, visit The Mobile Home Park Investor's Boot Camp page. This recent article in the Dallas Morning News really takes the cake. 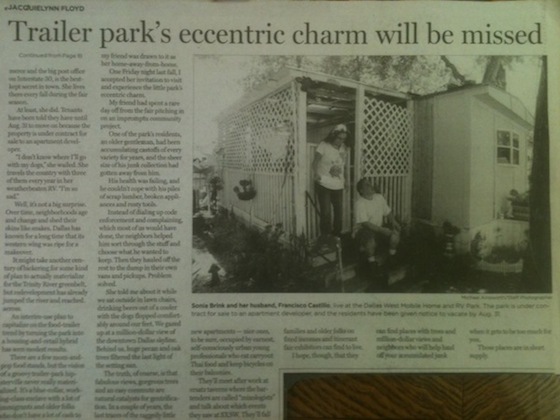 Here’s Dallas West – a mobile home park that is of questionable quality and terrible location – being lauded with the headline “Trailer Park’s Eccentric Charm Will Be Missed”. The park is being redeveloped into an apartment complex and, now that it’s being shut down, everyone wants to make a superficial statement of how much they’ll miss it. Back when I owned Glenhaven (my first park) I was thankful that I did not own Dallas West, as they had so many hookers hanging around out front that you would be afraid to get out of your car. The article says “…fabulous views, gorgeous trees, and an easy commute are natural catalysts for gentrification”. Wow, that’s setting the bar pretty low on what makes for prime property. The truth is that, if the city really wanted to stop the project, they could have. I seriously doubt that anyone ever considered the closure of Dallas West as anything but a positive for the neighborhood. And it’s really hypocritical to now talk about how great it was after its demolition has been made certain. It’s kind of like going to the funeral of your worst enemy and telling everyone how sorry you are. Many cities already realize how important mobile home parks are to meeting the needs of affordable housing. I’m sure that this property needed re-zoning or some type of approval from the City of Dallas to move forward in the conversion from mobile home park to apartment complex. Had there been a rally to save the park on the part of the city council or P&Z board, then maybe the park would still be there. That’s when everyone should have made themselves heard – not when it’s already being torn down. Of course, the joke will ultimately be on the city, as twenty years from now the new apartments will be Class-C and filled with undesirable tenants, while Dallas West the trailer park would still have nice families trying to adhere to the American dream of home ownership.